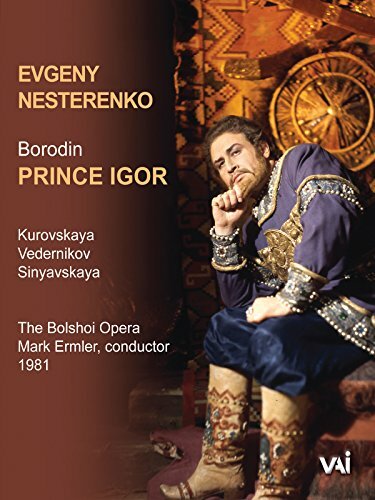 Legendary bass Evgeny Nesterenko sings the title role in this live 1981 Bolshoi Opera production. Though this operatic masterpiece is rarely performed outside of Russia, its Povlovtsian Dances" ballet sequence is one of the most famous in all of opera, and the popular tenor and bass arias are well known to opera lovers. With Bolshoi Theatre Orchestra and Chorus conducted by Mark Ermler.